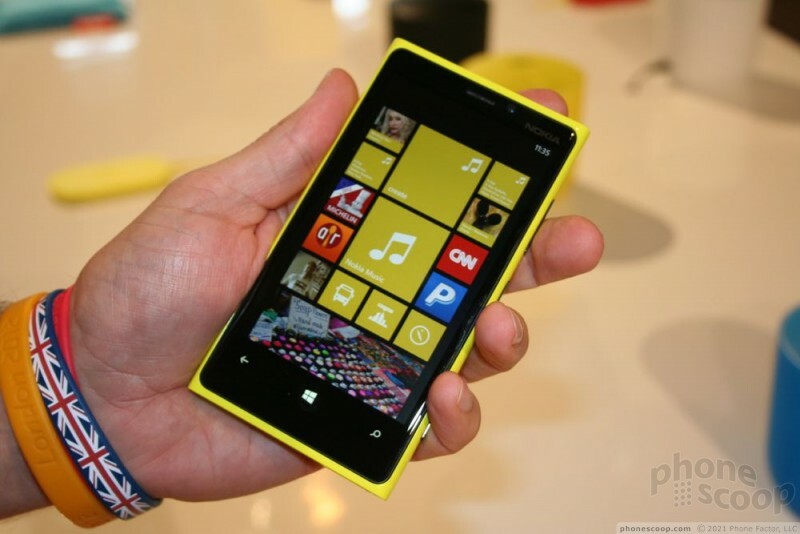 The Nokia Lumia 920 is the company's flagship device for the rest of 2012 and into early 2013. 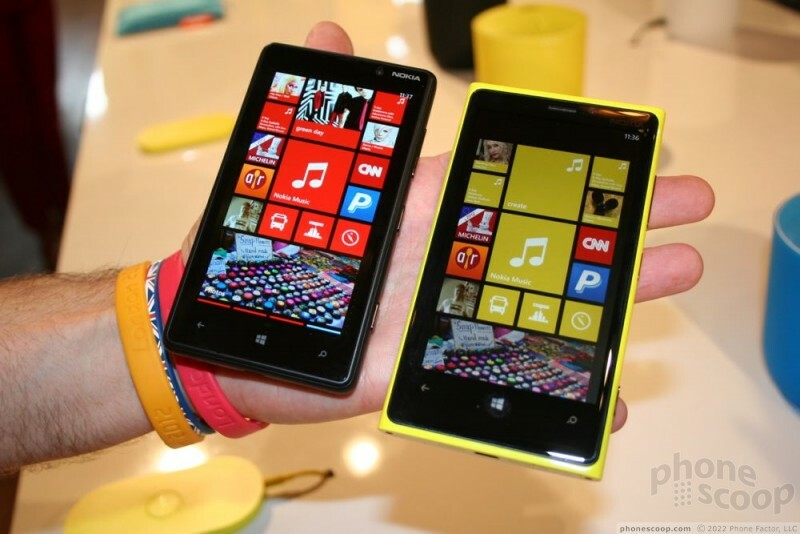 It is a significant update to the Lumia 900. While it carries forward many of the basic design principles, there are definite differences between the two. 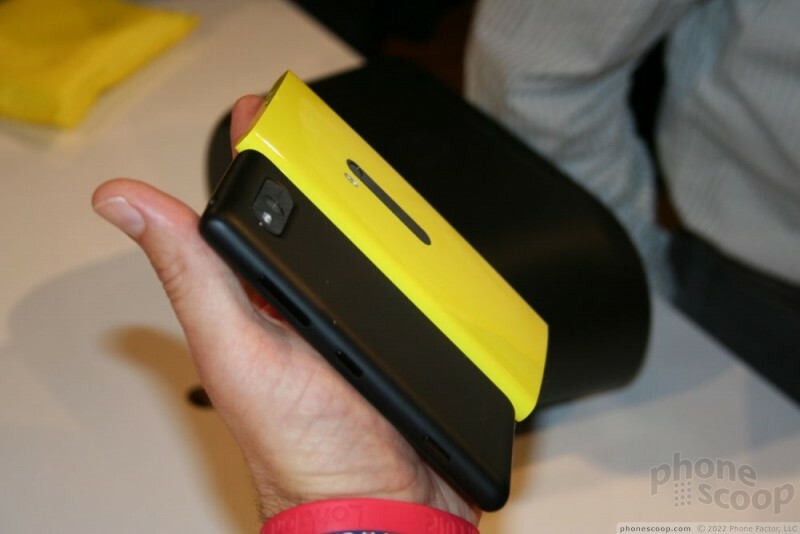 The 920 is encased in a smooth polycarbonate (fancy plastic) shell. The design of the shell is smooth and pleasing to the touch. It's strong as hell. 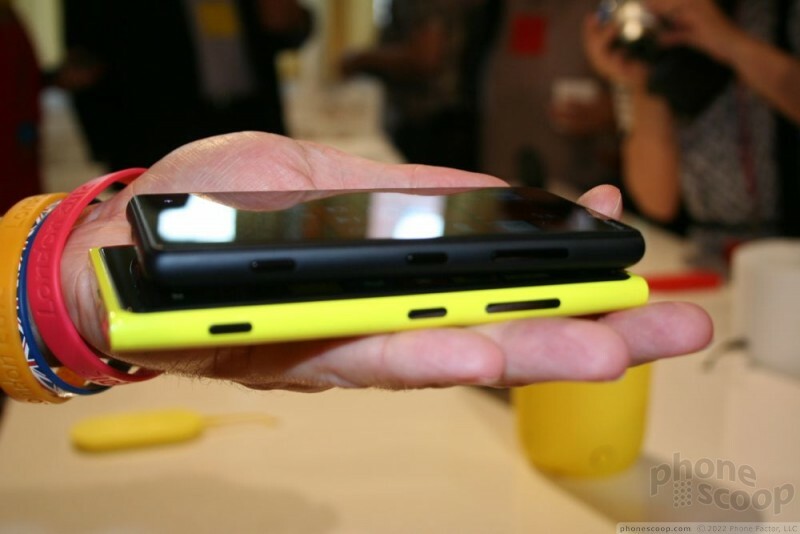 The torsional rigidity is ridiculous (you can't twist the phone at all). 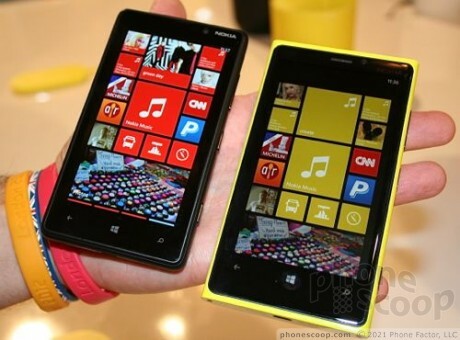 As much as I like the materials, the 920 is outrageously big. 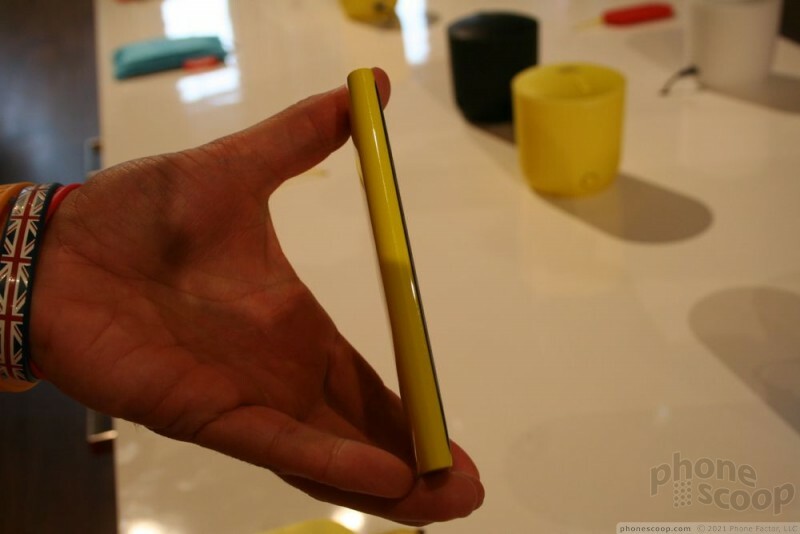 It is nearly 11mm thick, and the feel in the hand is weighty and large. Add in some of the splashy colors, and you have a very noticeable object in your hand. There's nothing subtle about it. The display really looks fantastic. 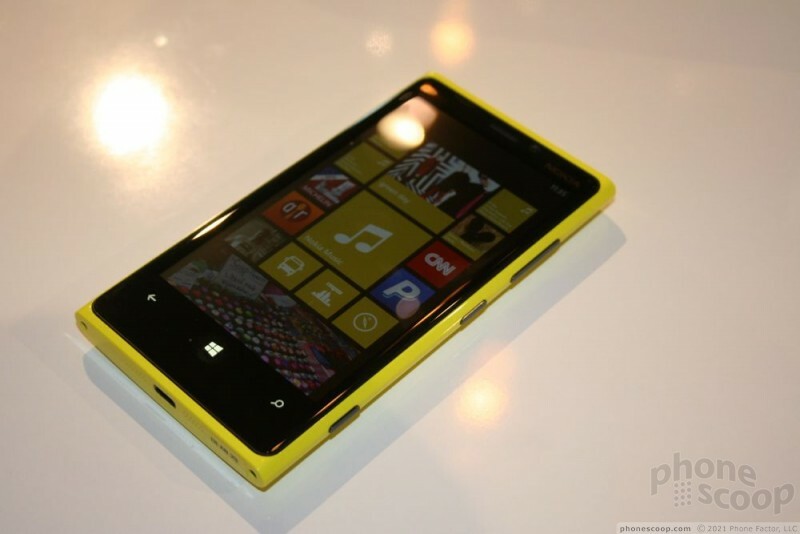 It measures 4.5 inches and includes 1280 x 768 pixels. 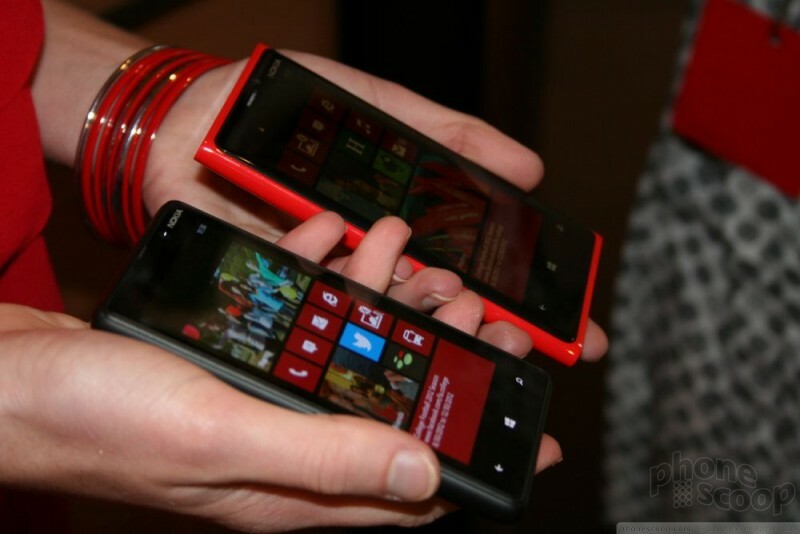 The ClearBlack "PureView Motion" technology that Nokia spent so much time talking about boils down to an impressively quick display. It reacts instantly to input, and scrolling is incredible smooth and detailed. Add in the ability to activate it through clothing, such as gloves, and you have a really nice display. 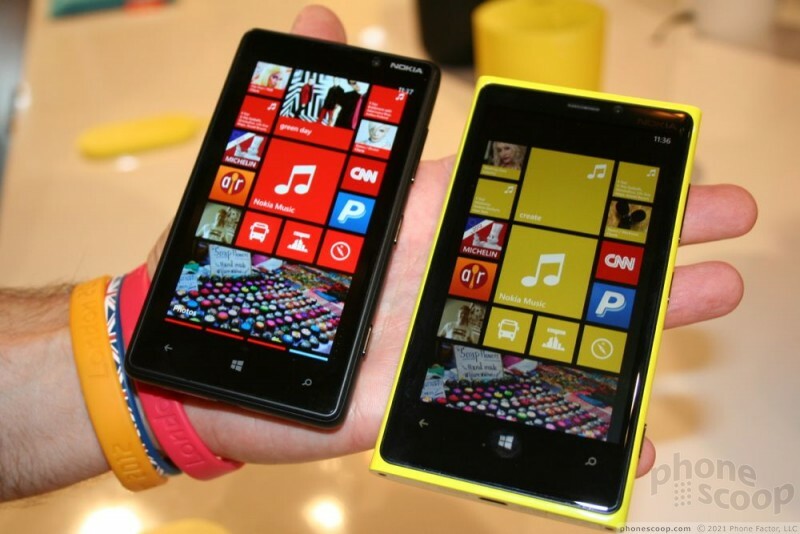 The buttons and controls of the device are similar to the existing Lumia 900 and 800. 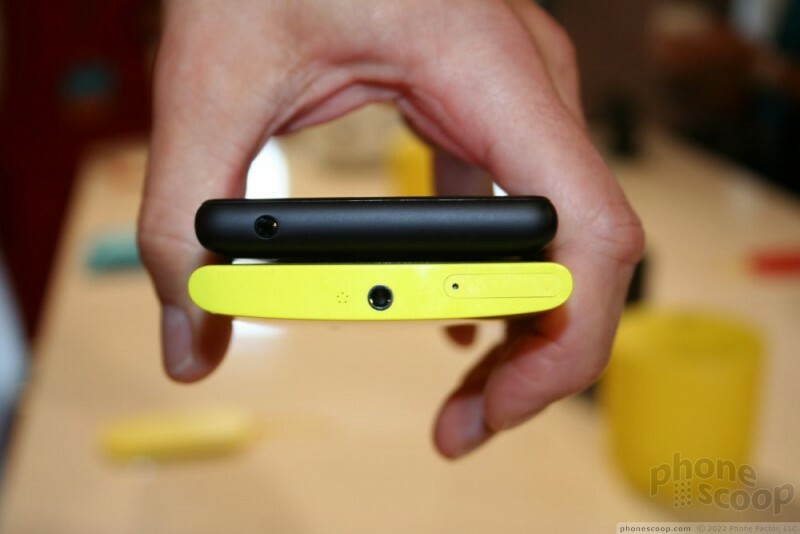 The volume toggle, screen lock, and dedicated camera buttons are all on the right edge. They have a slippery feel to them and are easy enough to find and use. The SIM card tray is built into the top edge of the phone, and requires the use of a paperclip to eject the SIM card. The 3.5mm headset jack is next to it. 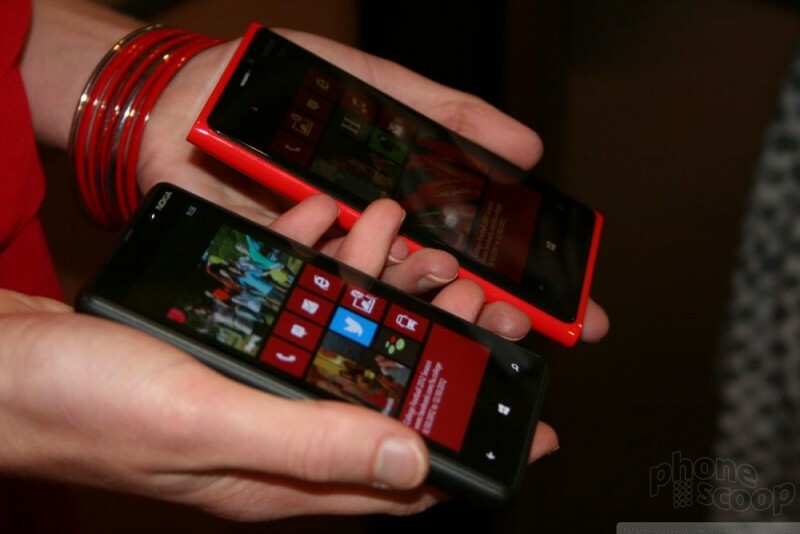 The user interface is Windows Phone 8, but Microsoft and Nokia were not allowing members of the press to dive into the new platform. Instead, they were demonstrating specific actions, such as the camera, the new lenses, how NFC pairing works, and how the inductive charging works. We weren't able to dig into the nitty gritty details. 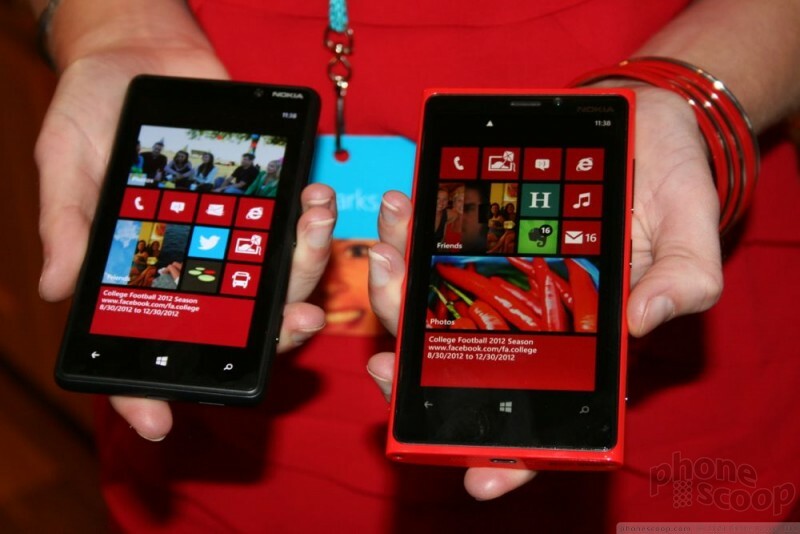 What Nokia and Microsoft did show looked like typical Windows Phone applications. They ran smoothly, made good use of the display, and the multitasking tools worked very well. 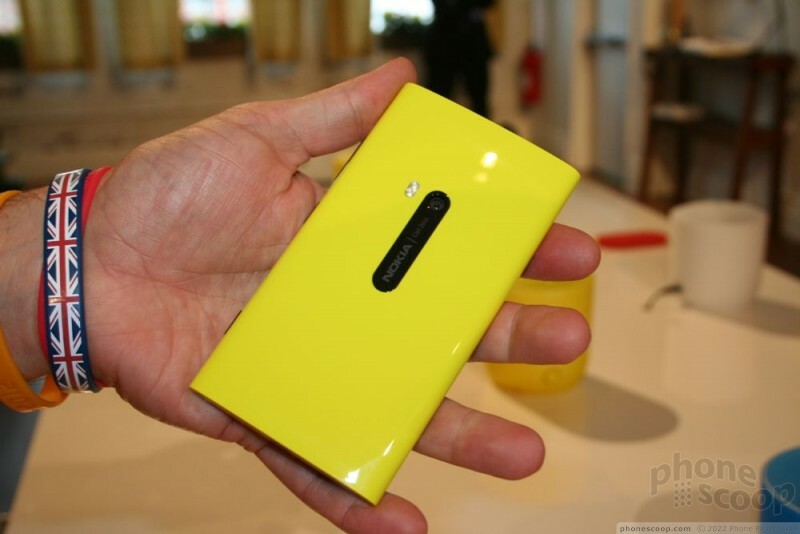 In all, the Lumia 920 is a great addition to the Lumia line, but there are still plenty of unknowns about it. We don't know what network operators will sell it, how much it will cost, when it will be available, nor what wireless networks it will support. 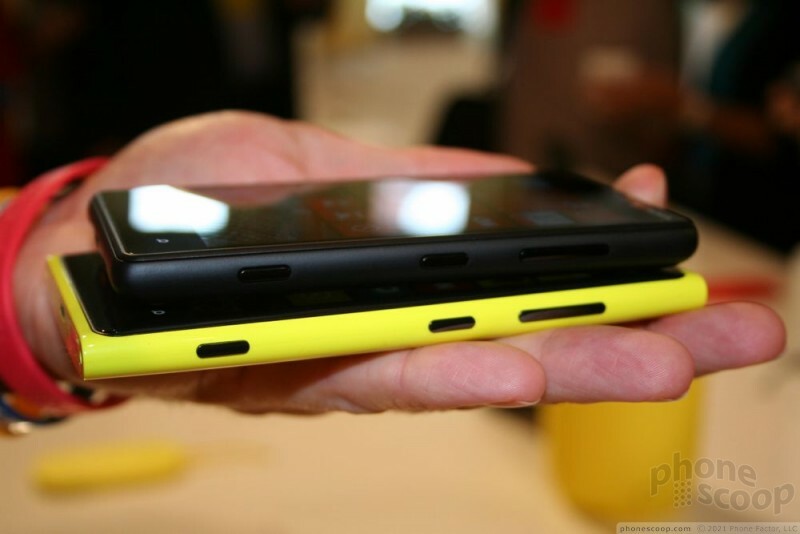 Though it is safe to assume AT&T will eventually offer it, Nokia hasn't said that yet.